Age of Steam is one of my favourite games ever but rarely gets to the table due to length and complexity. 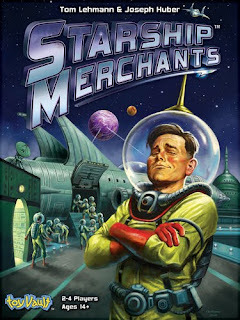 But when I hear Thom Lehmann of Race For The Galaxy fame has co-designed a 'pick up and deliver' style economic game that plays in about 45 minutes, I must admit I get excited. And after looking at the pictorial playthrough available on BGG, I'm pretty certain I'll buy it on sight. I'm very curious to see whether removing the network/map aspect from a pick up and deliver game will remove the fun for me. I doubt it.